Early in the season MLB The Show provides important updates as new rookies are added following their first major league appearances and rosters are adjusted to reflect accurate lineups and rotations. Ratings however are generally not adjusted until late April. That has held true for MLB The Show 19 where the first in-season update brings about the debut of some heralded rookies. 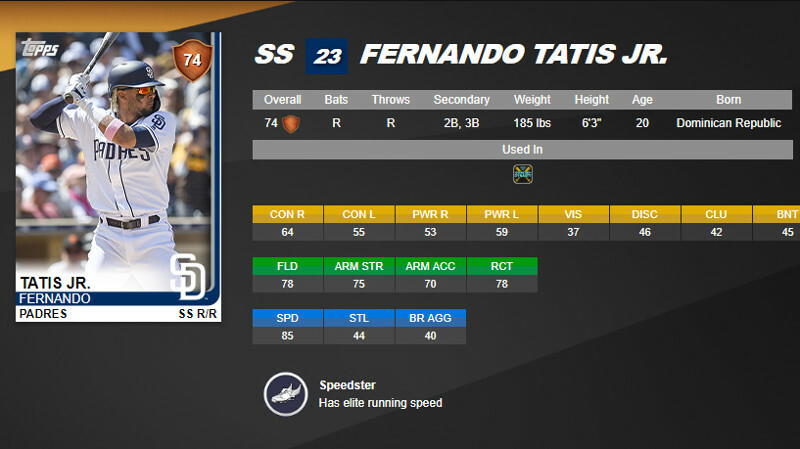 Among the most notable are Seattle starting pitcher Yusei Kikuchi (81 OVR w/ A Potential), Padres shortstop Fernando Tatis Jr. (78 OVR w/ A Potential), White Sox outfielder Eloy Jimenez (76 OVR /w A Potential) and Mets first baseman Pete Alonso (69 OVR w/ A Potential). Those numbers will be lower in Diamond Dynasty. Only a few minor changes to ratings have been applied in the update but all reflect position changes only.